I have a not-so-secret love for vintage clothing and in fact, I like nothing more than to wear vintage pieces every now and then. This is why I can’t help but rejoice every time old trends make a comeback. Seeing as the fashion industry loves vintage fashion just as much as I do, I really find it easy to find vintage or old-fashioned trends to suit my style. As much as I love old fashions, I must confess that some are just better than others and I know that it is the very best ones that keep coming back time and again. It is for this reason that I decided to take a close look at the fashion industry today and take note of the fashions from years ago that just keep on appearing on cat walks and store shelves. Have a look at some of my top picks below. Hemlines – It was in the 1920s that hemlines went above the knee and since then hemlines have been shorter and longer. They had those wonderful mod minis in the 60s then there were the denim skirts women in the 80s so adored. One very interesting thing about skirts is that there is such a thing as the hemline indicator of economy and it states that shorter hemlines mean better economic times. I now noticed that miniskirts are making a comeback; I hope that means better times once more! Jewelry –I have noticed that there are more antique jewelry designs being shown in fashion shows and fashion spreads lately. Took this as a sign that antique jewelry was once again making a comeback and I couldn’t be happier! I love antique jewelry and I can’t wait to wear mince once more. Patterns –If you look at the prints that are “in” today, you will notice that they are simply updated versions of prints that were trendy in previous decades. Now, we have abstract florals which were taken from the floral patterns of the previous years. 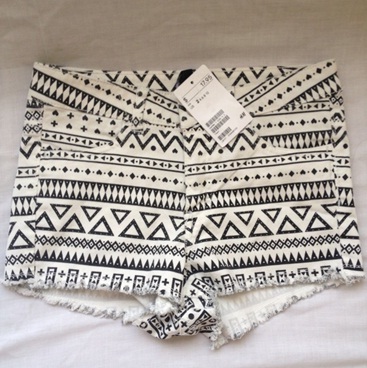 Then there are the tribal prints which were so trendy way back in time.